Whoa!!! What an event will take place tonight. 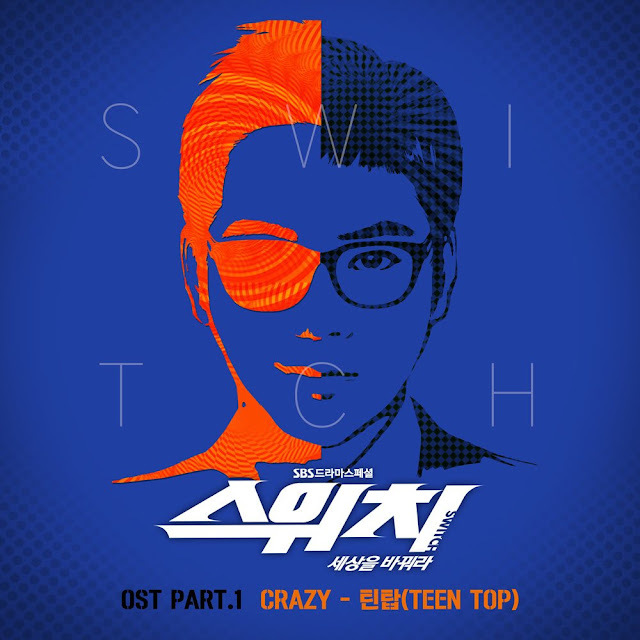 Not only will Switch hold its press conference,but the first OST will release! Thanks, HelloPOP, for publishing this great news! Rise and Shine #JangGeunSuk and #HanYeRi fans! 😊😉 It's D-DAY for #Switch - Change the World tonight on SBS! The first OST 'Crazy' by #TEENTOP will also be released tonight at 6PM on various music sites.